.. with mini sets of nail varnish. My name is Jen and I’m a mini-nail-polish-aholic. 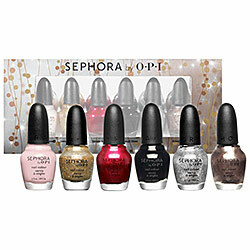 It all started innocently when I spotted the Sephora OPI mini sets when in New York in September 2010, then I fell for the Essie Mini Sets and Now OPI… I just don’t think you can beat spending a tiny bit more than it costs for one full sized bottle but getting four little bottles of coloured cuteness. 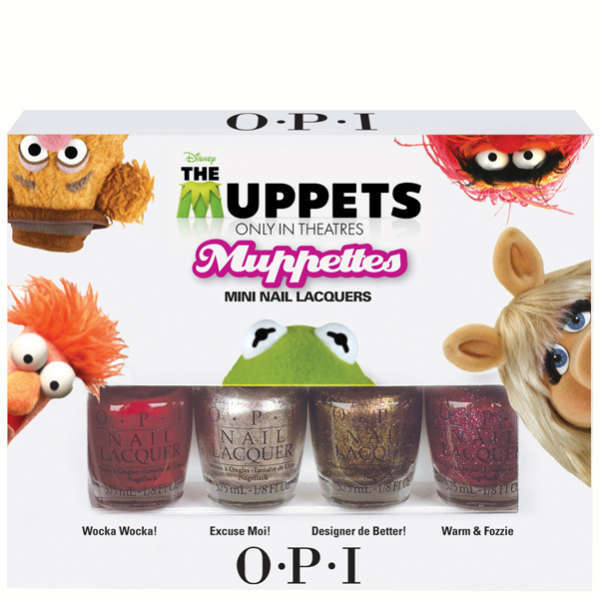 Then as someone who grew up watching the Muppets (and Muppet Babies when I was really little…) I have to have this! I love the polish names – Wocka Wocka! A huge mini set?! Erm, yes please! Full of classic colours, some could say that this is all the nail polish you ever need… (not that a little fact like that would stop me wanting more). And then I made the biggest mistake a beauty blogger can make… I visited Sephora.com… They clearly know that the mini polish sets are popular because they have tons of them! And yes, I do want them all… how can I choose!? Darn Sephora for not being in the UK…but these three are the stand outs for me. And the holy grail of all things mini… this baby! I have my heart set on getting my hands of this somehow, I just need to figure out how! So there we have it, a little insight into my shameful addiction to all things mini… do you love mini polish collections too? Please tell me I’m not alone in my mini-loving obsession! All products bought by me. Or soon to be bought by me…. Wow…and I thought I loved mini polishes! Ahhaa they are very cute and I know you ARE right- HOWEVER I really don’t like painting with the mini brushes.. I know that is a minor issue compared to the fact that you get 4 for the price of 1 big bottle, but I disliked it so much, I sold my mini sets.. I definitely have a problem, but you’re right Stina – the brushes aren’t ideal, although I find the Essie ones fine but the OPI/Sephora OPI ones harder to work with. I’ve picked up a good few mini sets in Sally’s in the sale, a while after the collection is out. Usually get them for £4 odd, so some bargains to be had! I am obsessed with mini things too! you mean you have got any orly mins?? mini bottles are just too cute! I love mini polishes. Love. So cute! 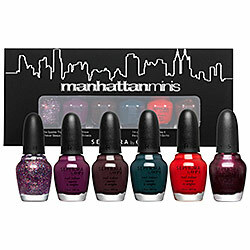 They seem like much better value too – I have so many polishes it’s not like I’m ever going to finish a full size one. I love the Orly minis too – they have a huge range of them in my local Boots and I keep buying “just one more”. I only really buy mini ones as I don’t have enough money to buy loads of full ones and I hardly wear it anyway (not allowed to at school). And I get a lot more colours than I would normally! I actually have a love/hate relationship with mini polishes, I do have quite a lot though, nails Inc, Opi, Leighton Denny, Essie, and a few others, the problem I have with the minis is the amount of product you get. Personally I think a mini should be at least 5ml anything under that then I don’t like it which is a shame because my fav is Opi and they fall way below that. However if it’s the only way to get a colour then I will get it……. 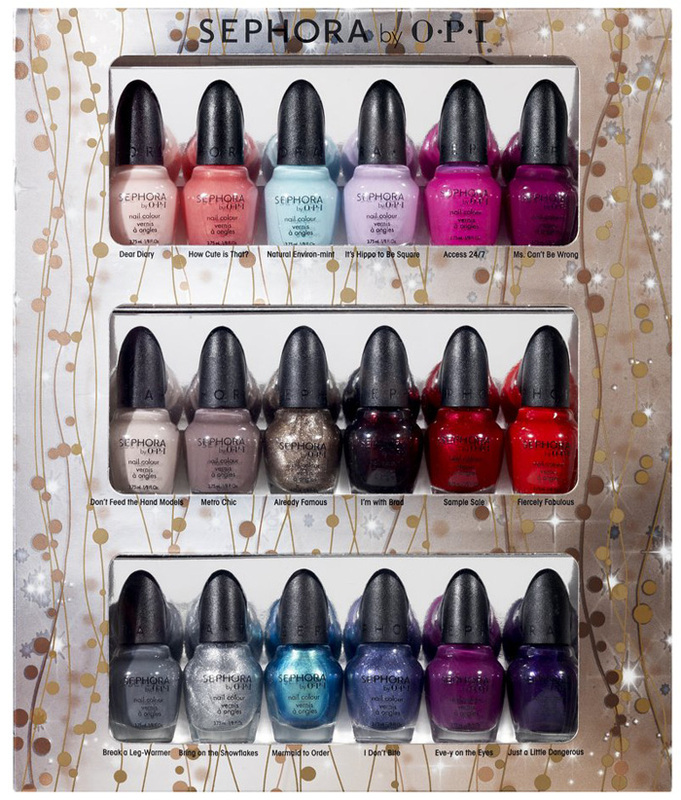 if it helps i’ve seen the OPI best of the best collection in john lewis, btw love your blog!! !